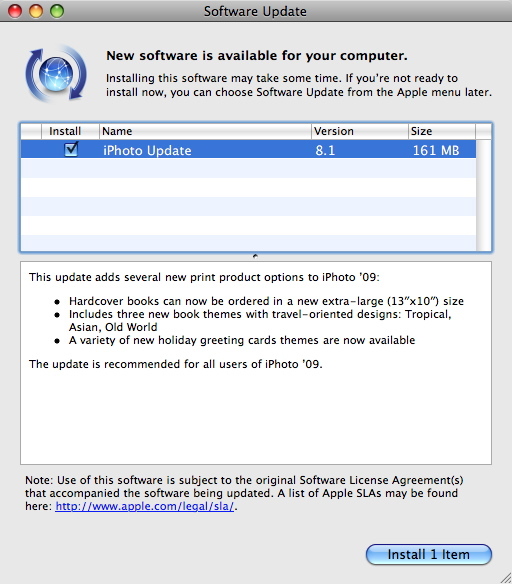 Apple has updated iPhoto to version 8.1. This update adds some print options for your photos, a service not available in Saudi Arabia. But if you really do want to do these prints then you can ship them back to Saudi Arabia from the US using mail forwarding services. The update is available from the Apple Software Update utility or you can download directly from here (160MB).